Mauritanian authorities refused to grant visas to a group of twelve American anti-slavery activists at their arrival in Nouakchott on Sunday, 10 September 2017. The human rights defenders were representatives of the American Abolition Institute and Rainbow/PUSH organization. 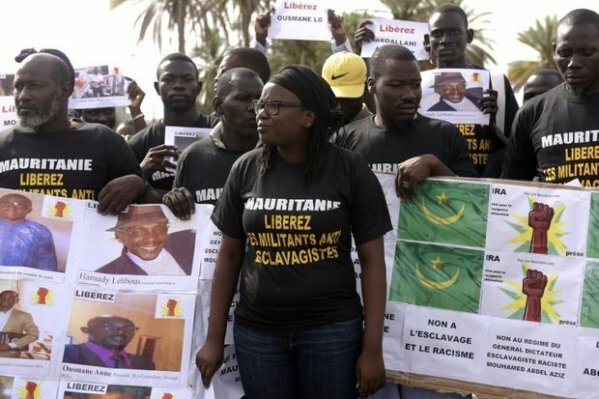 Mauritanian officials claimed that the programme of the activists was in opposition to national laws. Although officially abolished in 1981, slavery continues to prevail in Mauritania, affecting in particular Haratin communities. Being the largest minority group in the country, the Haratin abolitionist movement is spearheaded by Biram Dah Abeid. Twelve anti-slavery activists from the United States have been denied entry to Mauritania, the country's government announced on Sunday [10 September 2017]. The activists work with the Chicago-based Abolition Institute, an organization campaigning against what they call slavery in Mauritania, and Rainbow/PUSH, a social justice NGO founded by Reverend Jesse Jackson. They arrived at Nouakchott airport on Friday [8 September 2017] for an intended week-long visit but were refused visas to enter Mauritania. Mohamed Lemine Ould Cheikh, Mauritania's Minister of Culture and government spokesperson, said that the activists were denied visa of entry to Mauritania soil because "their program is contrary" to local laws. "Mauritanian authorities were not consulted over this program," said Ould Cheikh. "It included only meetings with people who were carefully chosen and who happen to have a particular agenda." The US Embassy, which Ould Cheikh said had been informed of the visa denial, had previously expressed its concern that Mauritania would not let the campaigners enter. Ould Cheikh said that Mauritanian authorities had worked with human rights organizations in the past, including US State Department missions. Slavery was officially abolished in Mauritania in 1981 and criminalized in 2007, and the government claims that the practice has been eradicated. However, local and foreign NGOs maintain the opposite. The Abolition Institute estimates there are 155,600 people enslaved in Mauritania today. Several local anti-slavery activists, including the prominent figure Biram Dah Abeid, head of l'Initiative pour la Résurgence du Mouvement Abolitionniste (IRA), have been arrested and prosecuted for campaigning against what they call the ongoing practice of slavery in the country. Abeid has been nicknamed "Mauritania's Martin Luther King" for his activism in defending the rights of the local black community. Known as "Haratin", they are descendants of slaves, and Abeid and other activists say that many of them are still subjected to practices similar to those forced upon their forefathers.